Peacefully, at The John M. Parrott Centre in Napanee on Thursday, March 21, 2019. 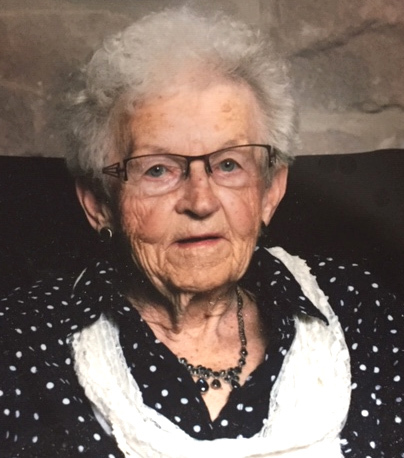 Georgina J. Herrington (Cuthill) of Napanee in her 86 year. Predeceased by her husband John Herrington. Survived by children Wendy Butler (Barry), Dave Herrington (Debbie), Don Herrington (Brenda) and Wanda Fobert (Ernie Wilson). Also survived by several grandchildren and great grandchildren and brothers Howard Cuthill (Doris) and Jim Cuthill (Vera). Predeceased by her sisters Ruth Sills and Clara Perry. As per Georgina’s wishes, cremation has taken place and there will be a small gravesite service at a later date. A special thank you to The John M. Parrot Centre staff especially those in the Rose Garden wing that took care of our mother. Memorial donations made to Ontario SPCA L&A Branch would be appreciated by the family. In the care of HANNAH FUNERAL HOME in Napanee (613-354-3341).